Amazon is already accepting pre-orders for the just announced Samsung Galaxy Tab S 8.4. The tablet will be shipped on June 26th, and is priced at $399.99 with free shipping. The device is available in Dazzling White or Titanium Bronze. The slate features an 8.4 inch Super AMOLED screen with resolution of 2560 x 1600. 3GB of RAM is on board the device, which will come with 16GB of native storage. A 128GB capacity microSD slot is available for those who need more memory. The rear and front-facing cameras weigh in at 8MP and 2.1MP respectively. A 4900mAh battery powers the tablet, which includes Android 4.4 pre-installed. This model will feature an octa-core Exynos 5420 processor (1.9GHz quad-core + 1.3GHz quad-core), and Amazon will ship the tablet in the U.S. only. This is the Wi-Fi only version of the Samsung Galaxy Tab S 8.4, and a model with LTE connectivity will be available shortly after the release of this model. The display technology and resolution are (currently) without peer in the tablet space, but what happened to the previously posted, "Sure to please multimedia heavy users, the tablet is stuffed with an ample 32GB of internal storage" ? WT ? - NO modern/top tier tablet should be sold with less than 32gb of built-in storage... Including This One. It's good for streaming video content and sharing amongst a few people in a family. I like how Samsung went with 3GB of RAM. Hopefully with the Exynos, they also have a nice Wolfson DAC with high(er) quality headphone output vs. the TabPro 8.4. What I am waiting for is the NotePro 8.4. That would be a good sequel to the Note 8 which I think was an underrated tablet. The icing on the cake, at least for me, would have been offering Amazon video streaming on the device as well as Netflix. As far as I know, the iPad is the only device that can stream video from all the major content providers. "a model with LTE connectivity will be available shortly after the release of this model" Is this going to be an unlocked, carrier free LTE model? It took about six months to get an LTE version of one NotePro tablet, the 12.2, on ATT. This is way too long to wait. Will there be a 32 GB version? I would love this tablet, but 16 seems really small. 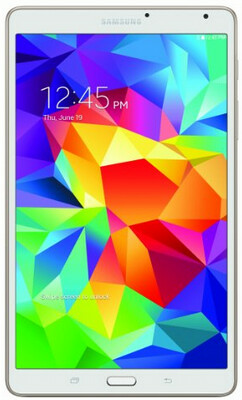 Where to buy Samsung galaxy Tab s LTE - 32 GB internal memory ?!!! 16 GB- internal memory, is nothing more than another junk on the market !